Announcing plans to establish a LNG Jobs Taskforce at the 2018 Australasian Oil and Gas Exhibition and Conference on March 14, WA Premier Mark McGowan said the government aims to establish Western Australia as a global LNG hub, helping to create new long-term job opportunities focused on servicing, maintaining and improving existing operations. The taskforce will consist of members from both industry and government working collaboratively to maximise the benefits that flow from the local LNG industry. Western Australia’s share of the nation’s LNG export capacity by late 2018 will be about 57 per cent, or close to 50 million tonnes, with LNG volumes having increased by 84 per cent in the past five years. LNG is WA’s second most valuable commodity with sales of $12.7 billion in 2016-17. 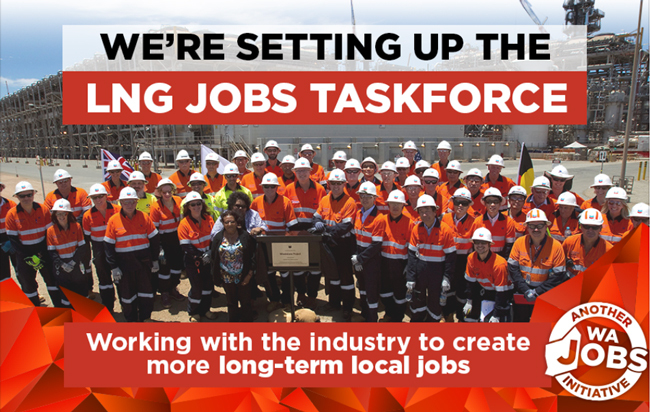 The taskforce will focus on harnessing the job opportunities the LNG industry can provide the WA community, including new technology, education and maintenance services. Further details and the members of the taskforce will be announced in coming months.